Visit and share the Save Our Hawaiian Monk Seals Facebook page. View more actions at the bottom of this page. It's happened again: Another endangered Hawaiian monk seal has been found bludgeoned to death. It's the ninth suspicious death of a monk seal since 2009; some have been cruelly beaten, others shot. There are fewer than 1,000 Hawaiian monk seals left in the wild, so each killing pushes these precious animals closer to the brink. The story of the latest victim, a young female monk seal known as RF58, is heartbreaking: Born in June, she survived a dog attack only a month later and was soon coming into her breeding years with the promise of pups that would help her species survive. Then she was found dead Nov. 30 on a beach in Kauai. The Center, which has been working for years to save these rare seals, is teaming up with local groups in offering a $25,000 reward for information on RF58's killer. You can help save monk seals by taking the following actions. Hawaiian monk seal. Photo by Monica Bond, NOAA. Visit and share the Save Our Hawaiian Monk Seals Facebook page on social media, helping us spread the word about these atrocious seal killings. Share this video with friends and family and post it on social media sites. Host a meeting wherever you live to engage people about the history and importance of Hawaii's critically endangered monk seal. Donate to promote outreach to protect monk seals. Contributions are helpful to run public-service announcements, improve safety for monk seals, and support important education efforts. Print and distribute this reward poster. Anyone having information related to this latest, or past, illegal monk seal killings should call the NOAA OLE hotline at 1-800-853-1964 or the Division of Conservation and Resources Enforcement-HSUS confidential tipline at 1-855-DLNR-TIP. 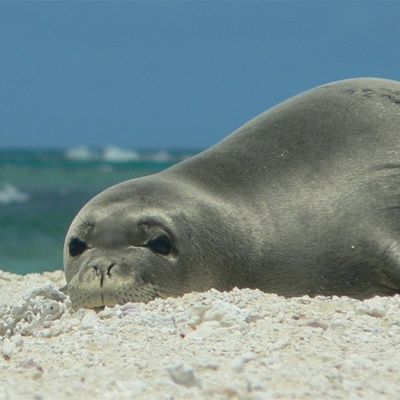 Join a Monk Seal Response Team and help to monitor beaches across Hawaii where monk seals are present. Get more information about response teams now. Host a community meeting to engage Hawaii residents about the history and importance of this critically endangered seal native to your state. Contact your representatives to express your concerns about the tragic monk seal killings and to express support for protecting all endangered species.